Lindisfarne Festival has revealed the full stage-by-stage line ups for its 5th anniversary extravaganza this summer, along with details of exciting new stages and partnerships. The 3-day camping festival, which will be headlined by Ocean Colour Scene on the Saturday evening and Pete Doherty on Friday night, will play host to over 200 acts across its 10 unique festival stages taking place on Beal Farm, Northumberland from 29th Aug - 1st September 2019. Other acts on the mainstage line up include Gentleman’s Dub Club, The Showhawk Duo, Lindisfarne, DJ Yoda, Ferocious Dog, Louise Distras, Smoove & Turrell, Elvana: Elvis Fronted Nirvana, Tankus the Henge, Dutty Moonshine Big Band and popular local Berwick band The Warehouse Announcement. Amongst the new venue additions is Billy Bootleggers’ Toe Tapping Americana Tent. Organisers are thrilled to have partnered up with Newcastle’s favourite dive bar to create an exciting new festival venue and curate a brilliant line up of blues, rock ’n’ roll, rockabilly & americana music. Acts announced to play the stage include, Rob Heron & the Tea Pad Orchestra, The Teresa Watson Band, Dave Arcari, Sister Suzie & Gilded Thieves to name a few. 2019 also sees the addition of ‘DeltaCity’ & ‘The Bridge Block Party’, two brand-new fully immersive festival venues. Complete with audio/visual installations and a top line up of DJ talent, DeltaCity will be headlined by international DJ Frank De Wulf - one of the pioneers of the Belgian new beat and techno scene. Meanwhile, building on The Bridge Hip Hop takeover from last year, the new “all elements” Bridge Block Party area, created in partnership with Sage Gateshead’s CoMusica Arches programme, will provide an immersive showcase of hip-hop culture and upcoming urban talent, with a great line up of djs, rappers, graffiti artists and break dancers. The over 18’s festival held once again on Beal Farm, will boast spectacular views overlooking the Holy Island of Lindisfarne - home to the infamous Lindisfarne Mead, which can be found in abundance within the festival’s Viking Brewhouse venue. Proudly sponsored by The Alnwick Brewery, who have supported the festival since the inaugural event back in 2015, this year the venue will be even bigger and better meaning more acts and more mead!. Set to play this popular stage are 3 Daft Monkeys, The Baghdaddies, Tom McGuire & the Brassholes, House of The Black Gardenia, Marty Craggs and many more. With music on both Friday & Saturday night going on until 4am, the High Tide Dance Takeover featuring Goldie, Slipmatt, Ragga Twins, Dream Frequency will cater to all the festival ravers, whilst the late night (L)indie disco will entertain the party animals who prefer their music with lyrics they can sing along to. For those looking to soothe their souls and rejuvenate after some late-night revelling and camping, Shanti Bee’s Healing Sanctuary will provide a calming oasis, complete with a full range of holistic treatments, yoga & wellness workshops. Other entertainment across the weekend includes stage takeovers by Punch Drunk Comedy, Born Lippy and BBC Music Introducing in the North East, who will once again be curating a strong showcase of upcoming local talent. And of course, no festival is complete without some creative fancy dress. Following on from previous year’s, 2019 sees the Vikings return to the North East shores once again, only this time with a royal twist! Festivalgoers have been asked to decide whether to dress as a raucous Viking, a reigning King or a raving Queen and rumour has it there’ll be some top-notch prizes for the very best dressed. Which costumes will reign supreme at Lindisfarne Festival 2019? 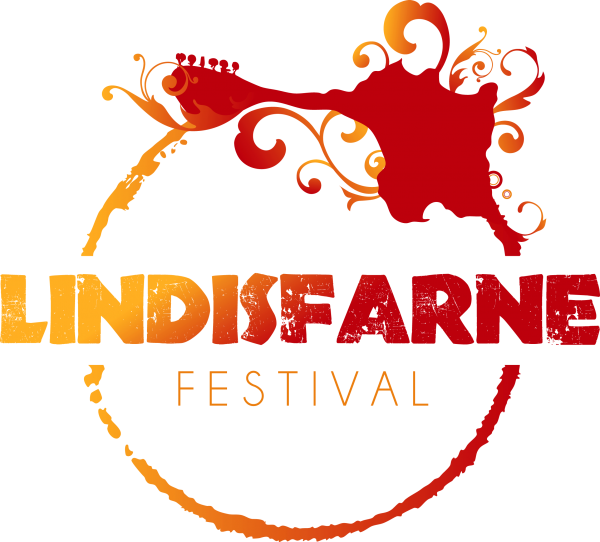 Advance tickets can be purchased from www.lindisfarnefestival.com priced at £99 for the full 3 nights from Thursday to Sunday, £87.50 for Friday to Sunday or £59.50 for Saturday only (with camping included).